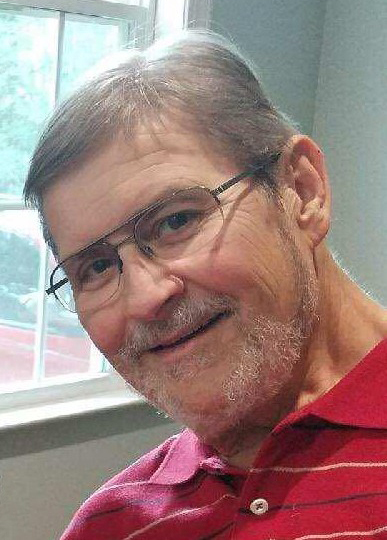 Joseph went home to be with the Lord peacefully at the age of 71 in Raleigh, NC surrounded by family and friends. He was born in 1948 in Washington, DC to Joseph Ficklin Swetnam and Elsie Louise (Wayson) Swetnam and is survived by his loving wife Barbara (Kolodziejski) Swetnam, his son Jayson and daughter-in-law Amy (Feighny) Swetnam of Pflugerville, TX, his son Brian Swetnam of Bowie, MD, his daughter Rebecca (Swetnam) Mangum and son-in-law Joseph Mangum of Mt Croghan, SC, his brothers Richard and Stanley Swetnam, his sister Patricia (Swetnam) Harris, and 10 loving grandchildren. Joseph graduated from Edmonson High School in Baltimore, MD, was a proud Eagle Scout in the Order of the Arrow, and a true Baltimore Colts fan. He and Barbara were married in 1974. Joseph worked as a department manager at A&P Tea Company and Giant Food until his retirement. He served as Member Liaison, Board Member, and Executive Director of Fidos For Freedom in Laurel, MD, an organization training dogs for the mobility and hearing impaired, throughout the 1990’s and 2000’s. He was a member of Hephzibah Baptist Church in Wendell, NC. Joseph enjoyed church mission trips, gardening, listening to the waves on the beach, visiting family and friends, and spending time with his children and grandchildren. The family will receive visitors at Hephzibah Baptist Church in Wendell, NC on Saturday April 6, 2019 at 2pm with a memorial service following at 3pm. In lieu of flowers, please send donations to the Missions Fund at Hephzibah Baptist Church of Wendell, NC or to Fidos For Freedom of Laurel, MD.